Charles Messier was a noted French astronomer, who discovered the nebulae and star clusters. Check out this biography to know about his childhood, family life, achievements and other facts related to his life. Charles Messier was a noted French astronomer, who discovered the nebulae and star clusters. Beginning his career as a draftsman with a well-known Navy astronomer in Paris, he soon became a keen observer on his own. Eventually he started observing the sky from his master’s observatory, located at the top of the Hôtel de Cluny in the downtown Paris with a 100 mm refracting telescope. Thus he was able to observe the sky from the north celestial pole to a declination of about −35.7° and record all objects in that specific area. 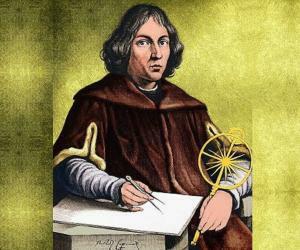 Although he had discovered many comets, he is best remembered for publishing a list of nebulae and star clusters. However, not all objects on the ‘Messier’s List’ had been discovered by him; some had been previously observed by others. Messier had compiled all of them in the list so that comet hunters could differentiate between the permanent and transient objects in the sky. The objects on the list, designated from M1 to M110, are still being used by astronomers as important references. Charles Messier was born on 26 June 1730 in Badonviller, a commune located in the Meurthe-et-Moselle department of northeastern France. At that time, it was a part of the Principality of Salm, an independent state, located between the Duchy of Lorraine and the Kingdom of France. His father, Nicolas Messier, was a court usher in the service of the administration of Salm. He and his wife Françoise B. Grandblaise had twelve offspring; Charles, born tenth, was one of their six surviving children. Among his surviving siblings, three brothers, Hyacinthe, Claude and Nicolas-François were elder to him while another brother named Joseph and a sister named Barbe were younger. He never knew the other six, who died young. In 1741, Nicolas Messier died and with that, the family’s financial position took a downward turn. Shortly after this, another accident befell the family. Charles, while playing around at home, fell out of the window and broke his thigh bones. By then, twenty-four year old Hyacinthe had taken charge of the household. He now took Charles out of school. For the next eight years, he studied with his eldest brother. It was during this period that he developed his sense of observation, which would one day help him to become a renowned astronomer. It is not known when Charles actually became interested in astronomy, but it was probably in 1744. That was the year when a great 6-tailed comet, officially designated as C/1743 X1, appeared in the sky and became visible to naked eye. The young boy was intrigued by it. Then on July 25, 1748, there was an annular solar eclipse partially visible from Badonviller. The incident further stimulated his interest in the discipline. However, it was not until three years later that he had the chance to turn his passion into an occupation. In 1751, the Princes of Salm lost control of Badonviller. Hyacinthe, remaining loyal to his old masters, decided to leave Badonviller for Senones. Charles, by then twenty-one years old, was offered two positions in Paris. One was with a curator of one of the many palaces in the city and the other was with Joseph Nicolas Delisle, an astronomer with the French Navy. Hyacinthe, believing that the second position offered better prospects, accepted it for Charles. 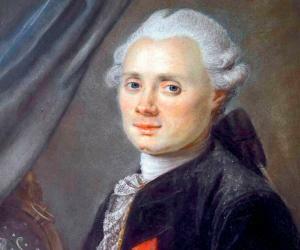 Accordingly on September 23, 1751, Charles Messier left Badonviller, arriving in Paris on October 2. By then, Delisle had built his own observatory at Cluny, and was also attached to the Collége Royal de France at Paris. Charles now began to live in Delisle’s apartment at Collége Royal. His first job was to copy a large map of China. For that, he was assigned space in an unheated large hall at the College. At the same time, he also visited Delisle’s observatory, where he was introduced to the various instruments and was instructed to keep records of his observations. Thus Charles Messier began his career as a draftsman and a record-keeper, but soon turned into a keen observer. His first observation, on Mercury transit, was dated 6 May 1753. In 1754, Messier was employed as a Depot Clerk of the Navy. Concurrently, he continued to study elementary astronomy with Delisle, who convinced him about the usefulness of measuring exact positions of the observations. Such precise measurement later became the hallmark of his catalogue. Sometime in 1757, Messier stared looking for Halley’s Comet, which its discoverer had predicted would reappear in 1758. In the course of this search, he came across a number of fixed diffused celestial objects that looked similar to a comet. The first among them was a dwarfed companion of the Great Andromeda Galaxy. Then on August 14, 1758, he discovered another comet and carefully observed it till November 2, 1758. Unfortunately for him, this comet had already been discovered by De la Nux on May 26, 1758, and hence had been named C/1758 K1 De la Nux. But on August 28, 1758, while he was observing C/1758 K1 De la Nux, he discovered another comet-like patch in Taurus. Since it was not moving he came to the conclusion that it was not a comet, but a nebula. He then started measuring its position, finishing the task by September 12, 1758. Named Messier 1 or M1, it became the first entry in his catalogue. Later, it turned out to be the remnant of the supernova 1054 and is now commonly known as the Crab Nebula. Now Charles Messier had two objectives in front of him. On one hand, he started looking for new comets with his telescope—comet-hunting, a new discipline in astronomy, evolved from this—and on the other hand, he began compiling his catalogue of comet-like nebulous objects. On January 21, 1759, he located a comet, which he knew to be Halley’s. However, it did not match with Delisle’s chart and when he pointed out the error to the elder astronomer; he refused to accept it. He told Messier not to announce the discovery, but to keep on looking. Later in 1760, Messier discovered another comet, but this time too Delisle refused him permission to announce it. Frustrated, he began to delve deeper into the subject. Maybe, Delisle was waiting for just that; for now he gradually began to retire from active astronomy, allowing Messier more freedom. Continuing to work from Hôtel de Cluny, Charles Messier discovered the globular cluster M2, located in the constellation of Aquarius, on September 11, 1760. Although it was previously recorded by Jean-Dominique Maraldi, it was Messier, who first plotted it on a chart. Subsequently, on June 6, 1761, he observed the transit of Venus and the appearance Saturn's rings. Then from May to July 1762, he observed Comet 1762 Klinkenberg. Thereafter, he discovered two comets; Comet 1763 (Messier) on September 28, 1763 and Comet 1764 Messier, on January 3, 1764. The year 1764 was also the one when he made his first original discovery. On May 1, he discovered a globular cluster, located in the constellation of Canes Venatici and entered it into his catalogue as M3. While M1 and M2 had been earlier discovered by others, he was the first discoverer of this cluster. Later in the same year, he catalogued a number of nebulae, naming them from M4 to M40. Among them, nineteen were his original discoveries. The rest had been earlier discovered or catalogued by others. 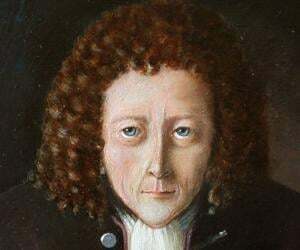 Thereafter Messier discovered M41 in 1765 and Comet 1766 Messier in 1766. He had so far been holding the post of Depot Clark of the Navy. Sometime now, he was promoted to the post of Astronomer of the Navy and in 1767, went on a long voyage to test new chronometers. On his return, he continued his search for newer objects and by 1769 catalogued four more celestial bodies in his list, identifying them from M42 to M45. However, it took five more years to publish the first version of the list. He then continued searching for newer comets and clusters, discovering a number of them. By 1780, his catalogue had 80 objects and he published the second version of it in the same year. Later in August, he teamed up with Pierre Méchain to catalogue more nebulae. The teamwork was quite successful. Early in 1781, he added twenty more objects to his list, taking it up to M100. Later in the same year, he added M101 - M103, all of which were discovered independently by Méchain. The last of Messier’s objects M107 was also discovered by Méchain in 1782. Charles Messier continued his work, discovering a number of comets. Then the French Revolution began on July 14, 1789, bringing in disastrous consequences. In spite of that, he continued with his work reviewing his earlier works and discovering new objects. For example, in 1790, he rectified the position of M31 and M32 and measured stars in M44 and M45. 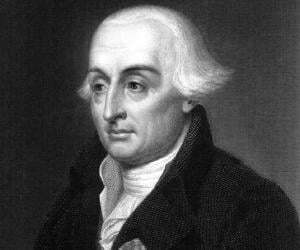 Next in 1793, he discovered comet 1793 Messier. Soon after that, the ‘Year of Terror’ began. By 1794, he had lost his Academie pension as well as his naval salary. The navy also stopped paying the rent on his observatory. Pierre Méchain lost not only his estate, but also his savings. The duo could not function until 1795, in which year they measured the drawings of M31, M32, and M110. Also in 1795, both Messier and Méchain entered the National Institute of Sciences and Arts, which was actually the successor of the Academy of Sciences. Next in June 1796, he joined the Bureau of Longitude. His last actual discovery, named Comet 1798 Messier, was made on April 12, 1798. Soon after this, his eyesight began to suffer and so he could not work on his own. Although he did observe the comets in 1805 and 1806, he could not determine their exact position. The Great Comet of 1807 that he reported was also observed with the help of others. Although he had independently discovered many comets, Charles Messier is best remembered for the list of nebulae and star clusters he had compiled over the years. Titled, ‘Catalogue des Nébuleuses et des Amas d'Étoiles’, its first version containing only 45 astronomical objects, was published in 1774. Later in 1780, 35 more objects were added to the catalogue, taking the total number of entries to 80. The final list, published in 1781 contained twenty-three more. Much later in the twentieth century, astronomers came across evidence of another seven objects discovered by Messier, but not included in the list. They named them from M101 to M107 and officially included them in the Messier’s List. In 1764, Charles Messier was made a Fellow of the Royal Society. In 1769, he was elected a foreign member of the Royal Swedish Academy of Sciences. On 30 June 1770, he was elected to the Académie Royale des Sciences, Paris. 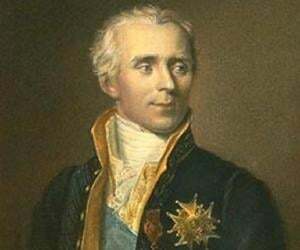 In 1806, he was awarded the Cross of the Legion of Honor by Napoleon Bonaparte. On November 26, 1770, Charles Messier married Marie-Françoise de Vermauchampt. They had met fifteen years ago at Collége de France. Initially they put up with the Delisles. But later on October 31, 1771, they set up their home in the Hôtel de Cluny, where the Observatory was located. Their only son, Antoine-Charles, was born on March 15, 1772. Unfortunately, his wife died on March 23, just eight days after giving birth. Three days later, on March 26, the child too passed away. Towards the end of his life Charles Messier suffered from decreasing eyesight. In 1815, he had a stroke which left him partially paralyzed. Later he recovered partially, but leading day-to-day life soon became progressively difficult. He passed away on April 12, 1817, in his home in Paris. He was then 87 years old. 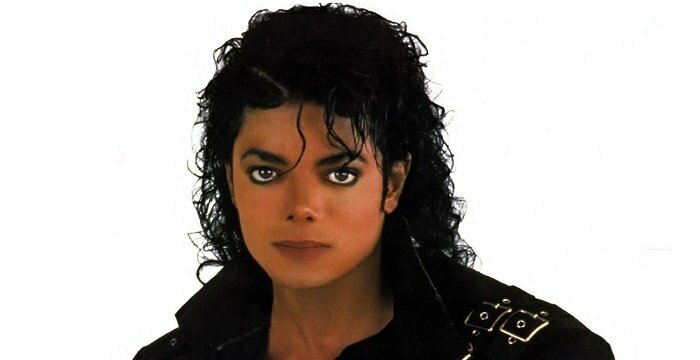 Later on April 14, he was buried in the cemetry of Père Lachaise in Paris. 'Messier', a lunar impact crater, located on the Mare Fecunditatis of the moon, has been named in his honor. In addition to that, asteroid 7359, discovered at Klet Observatory on January 16, 1996, has also been renamed after him.